Are you looking to repair some of the plumbing in your bathroom? Or maybe you need to have some new fixtures installed, or you’re building or remodeling a bathroom and basically starting from scratch. Whatever the bathroom needs in your Granbury, TX home, Lightfoot is here for you. Our plumbers are highly trained and experienced, so they know how to solve any problem that arises. We do all of this, and more, every day! That’s why you should call Lightfoot. Our experience guarantees that we can solve your problem, simply because we’ve probably solved it before. 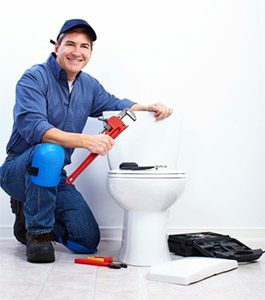 Our plumbers also come to you with top-of-the-line equipment. We have plumbers grade snakes on all of our trucks, so we can get your clog out fast, and without any risk to your pipes or other plumbing. Remodeling a bathroom is exciting! After all, it’s like getting a whole new room. Usually, you’re getting rid of some stuff that you don’t like, too. But bathroom remodels can also be expensive and stressful, especially if something goes wrong or if you feel like you can’t trust the people doing the work. That’s why you should call Lightfoot for all of your plumbing remodel needs. We pride ourselves on asking good questions and listening well, so we can figure out exactly what you need and want in your new bathroom. We’ll also help you come up with a reasonable cost prediction for the work you want done, so you’ll have a good idea of how much it will cost. If you aren’t sure what fixtures you want to install, we can come up with some ideas for that, too. We’ll work with you or your designer to make sure everything is in line with your tastes. We’ll consider you budget, too, to make sure that we don’t ask you to spend more than you want to spend. Call Lightfoot, and give us a chance to prove ourselves to you. We have so many satisfied customers in Granbury that we feel confident you will be one, too. So give us a call today. Your Lightfoot plumber will come out quickly, at a time that’s convenient for you. Then, your plumber will talk to you about the work that needs to be done, assess the situation, and let you know how much it will cost and how long it will take to get the job done. And we won’t leave until we know you’re as happy with our work as we are!